Contains: Dried Chile Flakes. Yup, that’s the whole ingredient list. Actually, we have some mild sweet chiles, some medium hot chiles and a few really hot chiles all blended together. Which chiles are which? Well, all Todd would tell me is it starts with bell peppers and goes up to habaneros. This wouldn’t be a Top Secret Recipe if we knew everything. Texture and Appearance: – Dried and crushed to an impressive small and consistant grind, this shaker of spicy chile peppers is remarkable in consistency and visual appeal. 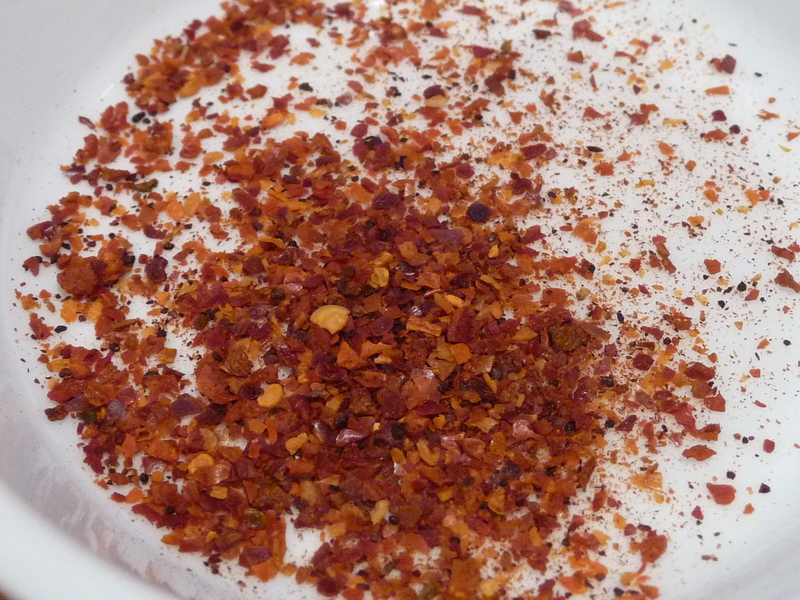 There are no whole chile pepper seeds in this mix, just tiny bits of flakes and teeny bits of the seeds. Hell Flakes will probably replace my standard crushed red peppers shakers of all sorts from here on out. I’m the guy that dumps a palm-full of crushed red peppers onto a paper plate to sort out the whole seeds from the flakes. I give it 5 Stars for beauty and texture. Heat Level: – Yes, only 2 stars. I told you not to be scared off by the name Hell Flakes. Although it’s a great name, this seasoning is not from Hell. But it is from Las Vegas… draw your own conclusions. Taste Straight Up: Much fresher than crushed red pepper, there is a bouquet of fresh chile pods and a natural sweetness and almost citrus-y aspect to the blend. It really shines on pizza (of course) and in our favorite salsa blanco from our local Mexican cantina. Final Thoughts: Highly recommended. This is our new “crushed red pepper” staple. 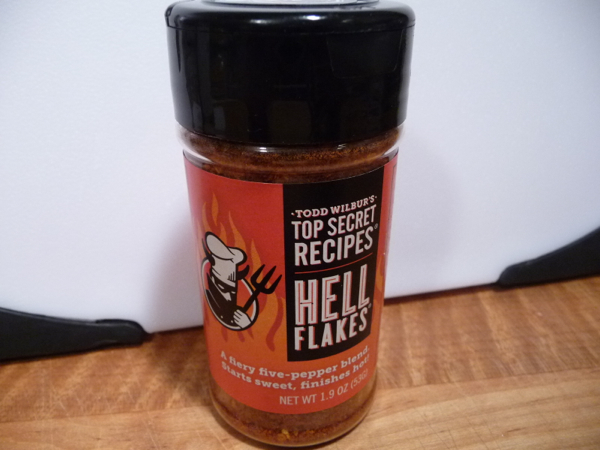 Next time a recipe calls for that, we’ll use Hell Flakes. About: “Creating Original Clone Recipes of America’s Favorite Foods since 1987”. Food hacker and host of CMT’s “Top Secret Recipe,” Todd Wilbur is the author of a series of unique cookbooks which reveal simple secret recipes for creating home versions of America’s most popular brand-name foods. And don’t forget the 10+ books Todd has written exposing America’s Favorite Recipes from restaurants and fast-food chains everywhere. I love the texture of this product! It really serves to evenly disperse the heat evenly, without those harsh hard bits normally found in red pepper flakes. It has a nice bouquet…. just don’t get your nose to close when you take a sniff, or you’ll be sneezing for a while…. I speak from experience here, LOL! Great product. We’ll be keeping this one in our spice cabinet! LOL Peter. At least that might make KFC chicken almost as good as Popeye’s spicy wings! Brian, I got a hold of some of these too. To me it has a weird smell, but once I got it on some meat I was pleasantly surprised. At first bite I thought I was in trouble but the heat tapered off quickly. They definitely spiced up some boring grilled chicken. Yea, the smell just reminds me of dried chiles. A bit dusty, but the flavor is good. I have enjoyed Todd’s site for years, he has saved me time reverse engineering a few recipes and assisted with ones that he hasn’t done yet, just from some of the techniques he uses. 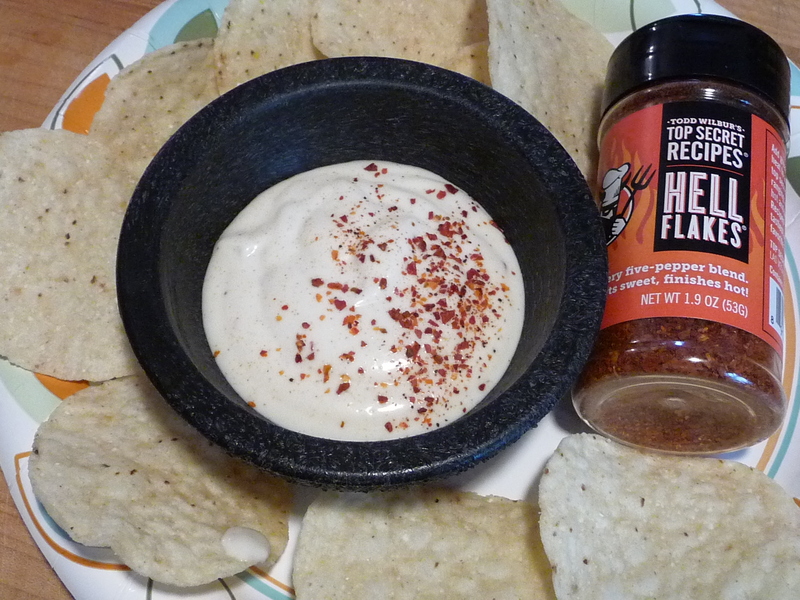 I’m a big fan of red pepper flakes and use them often, so I know I will enjoy these. When I ordered them just now, I put in the customer notes that I found these via your blog. 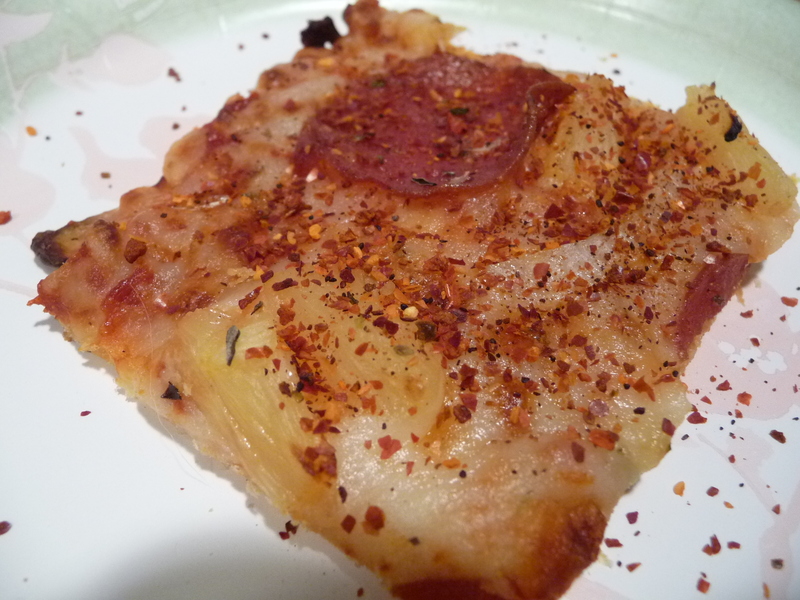 Michele, the more we use Hell Flakes, the more we realize it’s just a notch or two above straight-up red pepper flakes. Try a bottle, I think you can handle it. As I stated above, “Don’t let the name scare you”.